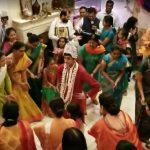 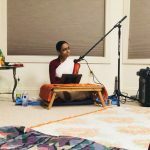 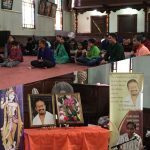 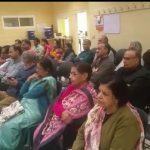 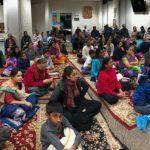 GOD’s first satsang in Rhode Island was held in the Hindu Temple of Rhode Island in Warwick, RI on Sunday January 28, 2018. 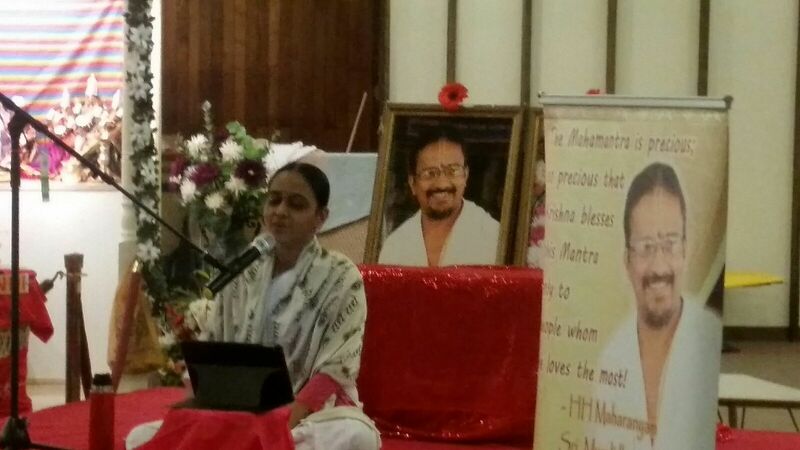 Shri Poornimaji commenced the discourse speaking about the glory of Srimad Ramayana and about Hanumanji. 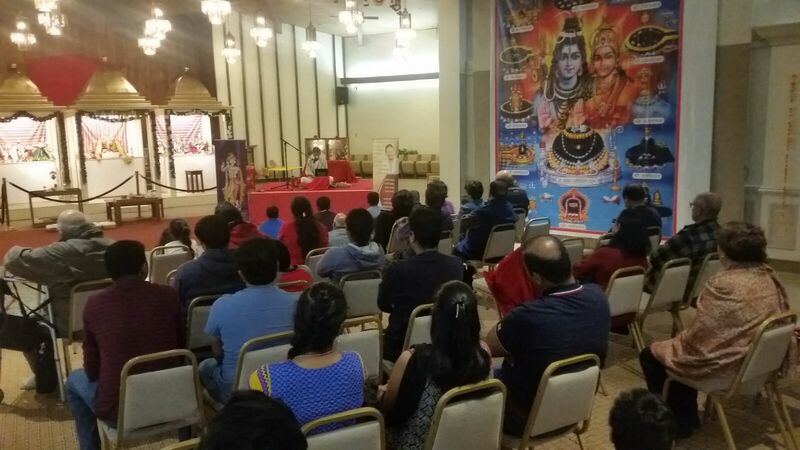 Beautifully outlining the philosophy and story behind Hanumanji going to Lanka and meeting Sita Mata, Sri Poornimaji’s divine katha drew the attention of all the devotees towards the greatness of the Divine Name and Guru Mahima – the core essence of Sundara Kandam. 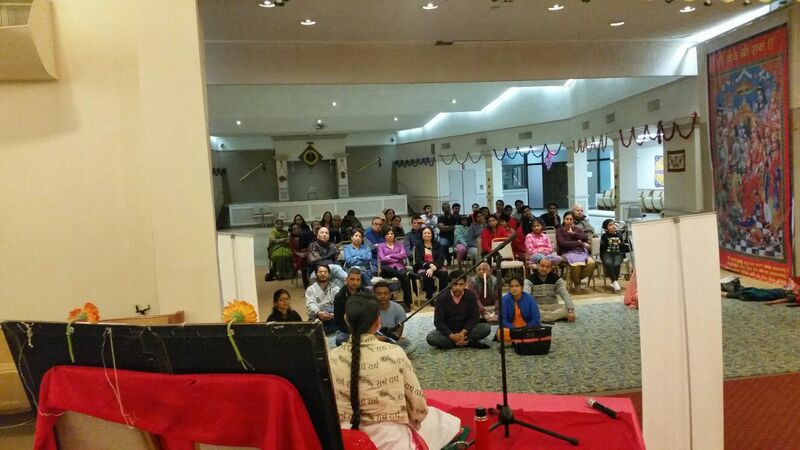 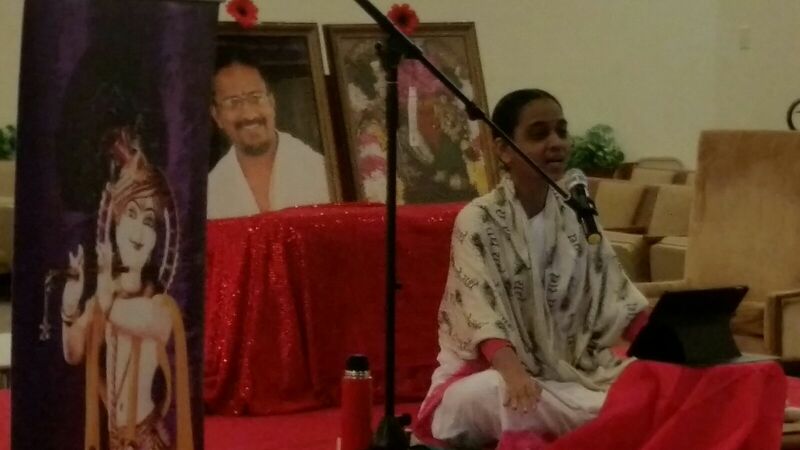 About 60 devotees participated in the satsang and chanted the Mahamantra towards the end. 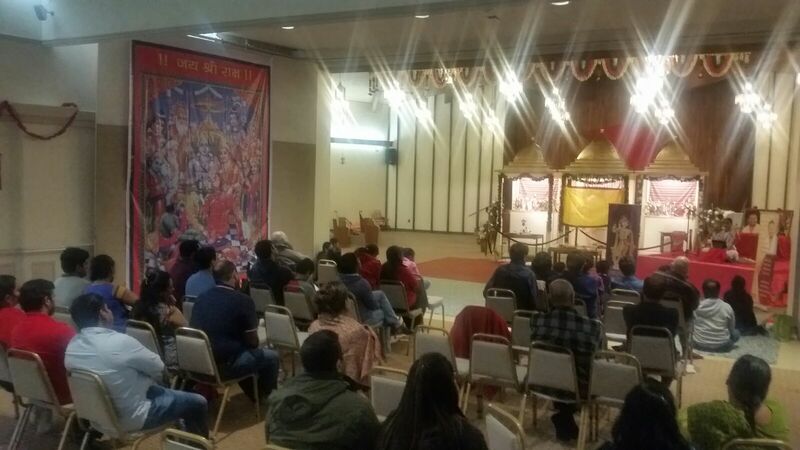 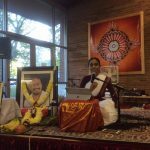 Shri Mahesh Goyalji of the Rhode Island Hindu Temple and Smt Aruna – Sri Krishna from Lincoln RI helped arrange the program.